I may have overdone it with the monkeys. Mike took the camera from me at this stage by tricking me into a portrait. I was taking too long documenting the beautiful forests. There is a 1.6km hike to get to the entrance of the park. I feel like that kid, that’s had access to all the candy on halloween…and has eaten so much sugar that my body reacts in a lethargic, sickly way. Yesterday I was completely exhausted by 7:00pm. I had a fever, and was glowing red in the face. I decided to walk in a literal blizzard to the grocery store (which is 10 minutes from our hotel) to get some food. The freezing temperature cooled me down, but I was feeling achey and tired even still when I returned home carrying dinner (fresh fruit and microwave pizza – which was actually a terrible choice!). Mike joked with me the other day that I was on a “dizzy – high from the monkeys” and I actually think he might have been onto something. Over the evening I slept through the rest of the snow blizzard and woke with Mike to the discovery that quite a bit of snow had fallen while we were dreaming. Today is the come down. I’m resting in a collapsed heap. I’ve eaten little, and moved even less. I am a literal blob. 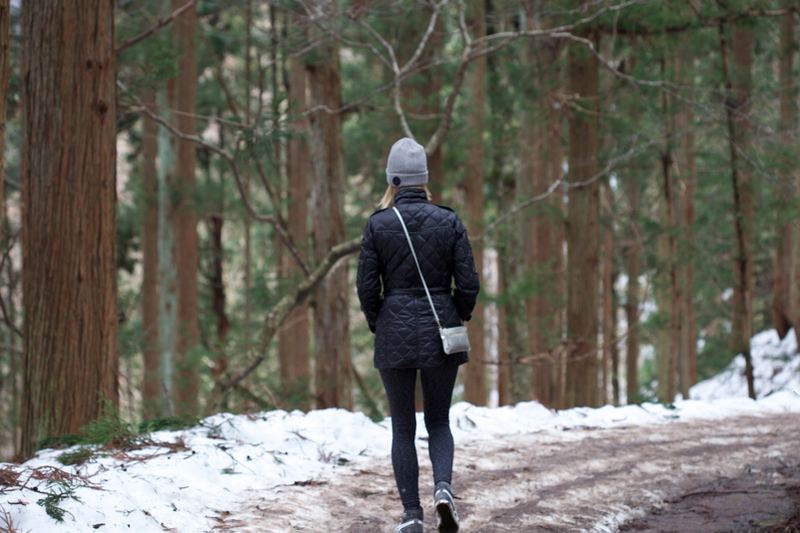 Tomorrow, is our last day in Hakuba before we travel back to Tokyo for one more night. We’ll then rise early and fly back to the hot state of Western Australia, Saturday morning. I feel oddly torn. Japan is an amazing country, and yet there are familiar things in Australia that I am also looking forward to as well. Number one thing? Without a doubt our amazing bed. When you travel, what is it that you look forward to when you return home? It turns out, I’m the type that like’s to know there is a home to come home to. To appreciate the unfamiliar, and bring those stories and memories back…that’s what I enjoy. Mike and I will have many special memories to take home with us. Obviously also I love to photograph it all too. ps: Mike may also be posting his set of photos… keep an eye out. 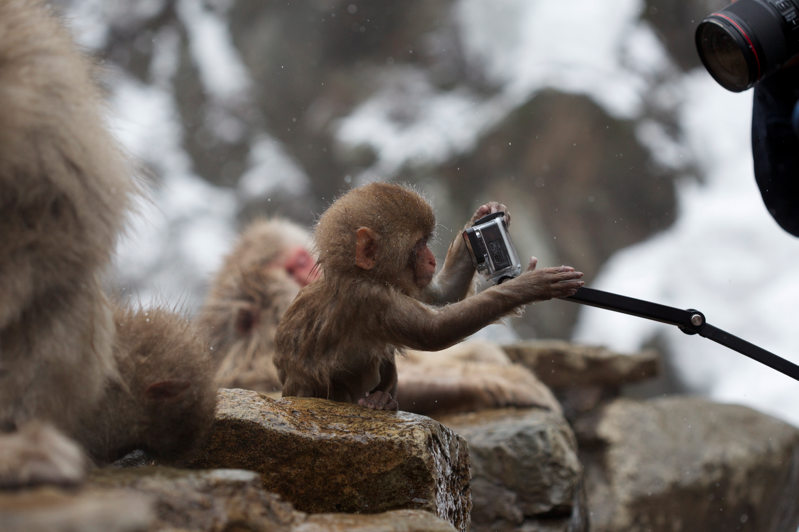 His images feature the monkeys in action, playing! 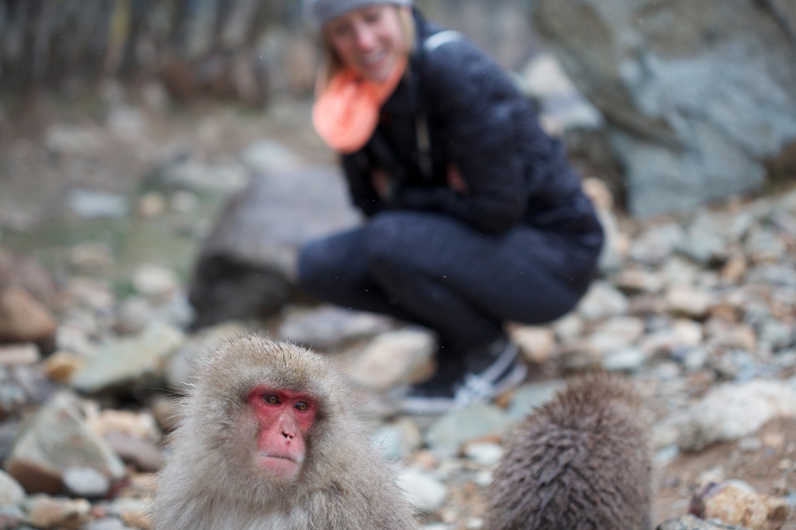 This entry was tagged Cute baby animals, Hakuba, Japan, Japanese Alps, Japanese Snow Monkeys, Nature, Photography, Redterrain, Snow Monkeys, Snowboarding in Hakuba, Tourism, Travel, Wildlife Photography. Bookmark the permalink. Loved these shots Holly…and the story too of course! Thanks Lynne, the babies are so funny. 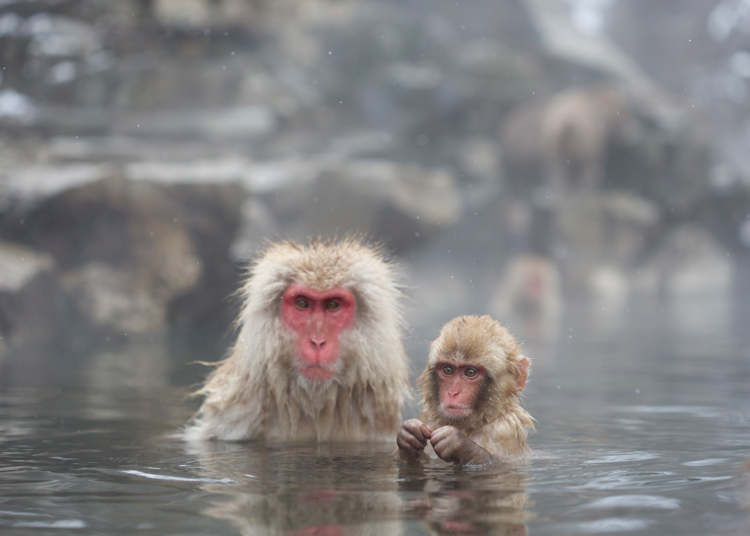 They just play and play and play…and splash into the hot spring. Are you spending the last week of holiday in Aus? I thought you guys were going for three weeks? Anyway, safe travels! We are heading to winnipeg tomorrow, and Pheonix on Satruday! :D:D Finally it’s here! We have three weeks in Japan, and then when we return I’ll be preparing for my new job… I’ve got another week to relax! Safe travels and give those cute kids a kiss and hug from us!